Tolfenamic acid is a nonsteroidal anti-inflammatory drug (NSAID) that is used to manage both acute and chronic pain in dogs and cats. Dogs and particularly cats are very sensitive to NSAIDs and there are very few drugs in this class that are considered safe to use. Tolfenamic acid has a mechanism of action similar to aspirin. 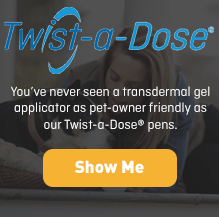 It is well absorbed orally, or your veterinarian may choose to use the injectable form. Give this medication to your pet exactly as your veterinarian prescribes. If you miss giving your pet a dose of tolfenamic acid, give the next dose as soon as you remember or, if it close to the next scheduled dose, return to the regular schedule. Do not double dose to catch up. Tolfenamic acid is usually given for a few days (2-5), and then stopped for a few days. Your veterinarian will decide a schedule based on your pet's needs. The most common side effects after oral administration are vomiting and diarrhea. 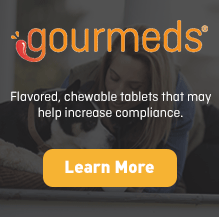 Tolfenamic acid is considered a safe drug in both dogs and cats but these species are much more likely to have adverse effects from NSAIDs than humans. Tolfenamic acid should not be used in animals with a history of gatrointestinal ulceration, decreased kidney function, liver problems or those with a history of abnormal blood clotting. There is no specific information regarding tolfenamic acid use during pregnancy. Tolfenamic acid is generally not used with other NSAIDs or with corticosteroids because they may increase the risk of GI ulceration. Tolfenamic acid is generally not used with other drugs that have the potential for kidney toxicity. These include diuretics, aminoglycoside antibiotics, and amphotericin B.
Tolfenamic acid affects blood clotting time. It should be used with additional caution in animals that are receiving warfarin (coumarin). NSAIDs may increase serum digoxin levels. NSAIDs should not be used in animals receiving methotrexate due to potential toxicity. Different strengths or dosage forms of tolfenamic acid may have different storage requirements. Read the labeling or ask your pharmacist for the storage requirements of the prescription you receive.